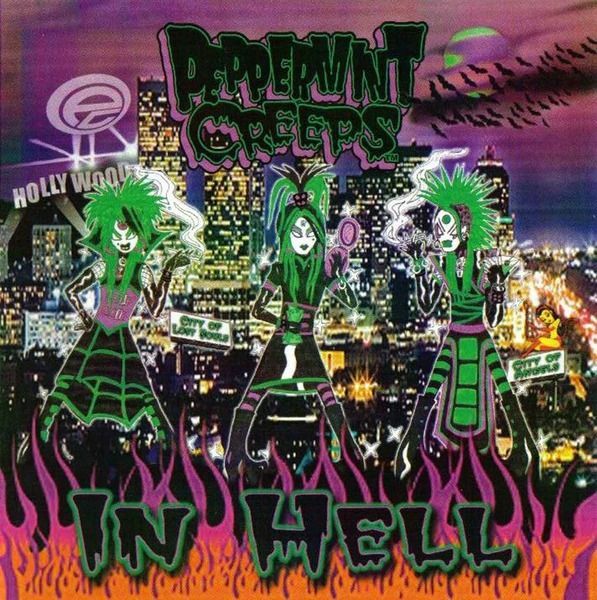 Peppermint Creeps are an American glam punk band from Hollywood, California, formed in 1997. Their music can be compared to KISS' style with a melodic Punk sound. 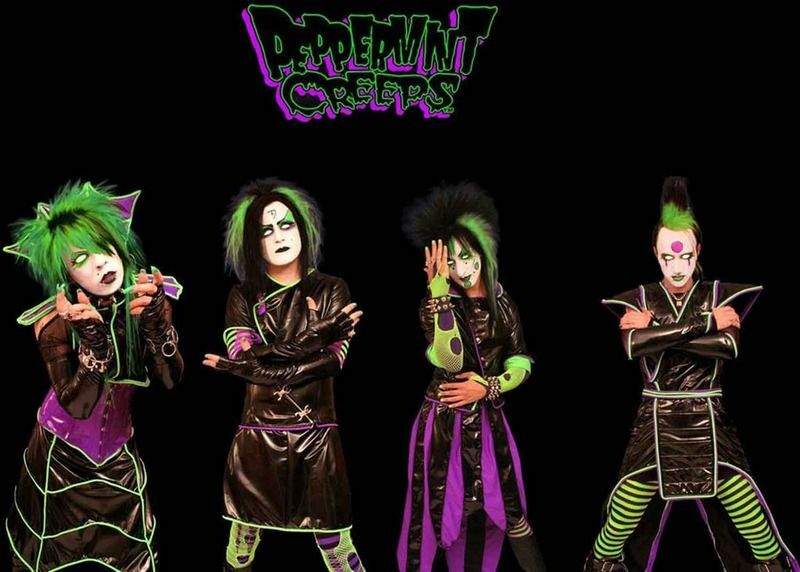 The group are recognizable by their makeup, often fluorescent red, pink or green colored hair, as well as their elaborate stage costumes consisting of mainly black PVC with fluorescent colors.The Peppermint Creeps started life as a 3-piece band, made up of guitarist Macy Malone and bass player Kari Ash, from Canada, and drummer Traci Michaelz, from the United States.Later adding Marky DeSade on vocals, together they recorded three demo tracks that were released shortly in 1998 on cassette tape. Soon after Marky left and Macy Malone continued with vocals. The Peppermint Creeps then recorded a studio E.P. with guitarist Macy Malone on vocals, that was produced by Phil Soussan (Ozzy Osbourne, Vince Neil & Billy Idol) and Randy Castillo (Mötley Crüe, Ozzy Osbourne, Lita Ford & The Motels), called "Cre.E.P.show".Later they were joined by guitarist/vocalist Billi Foxxx and bassist/vocalist Joseph Michael (Trixi) (Midnight Reign and White Wizzard) with whom they performed live shows through 1999.In 2002, Traci, Macy & Kari re-grouped Peppermint Creeps and expanded from a three-piece band, to a four piece, bringing in Arizona guitarist/vocalist Eddie Electra. The group regularly played Traci Michaelz two semi-monthly club nights "Club Paranormal" and "Glamageddon" at the Key Club in Hollywood, CA. 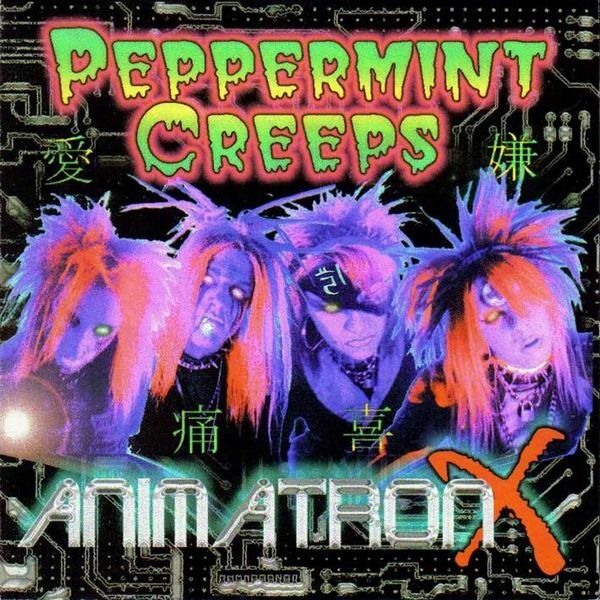 They recorded their first full length album Animatron-X in 2002.In 2003 bassist Kari Ash would leave the band and Andii Stittch would fill in.Shortly thereafter, the group filmed a video for their song "Lesbian" at Cascade Studios in Hollywood. The video featured computer graphics of the band in a candy world, similar to that seen in "Charlie & the Chocolate Factory" and "The Nightmare Before Christmas". 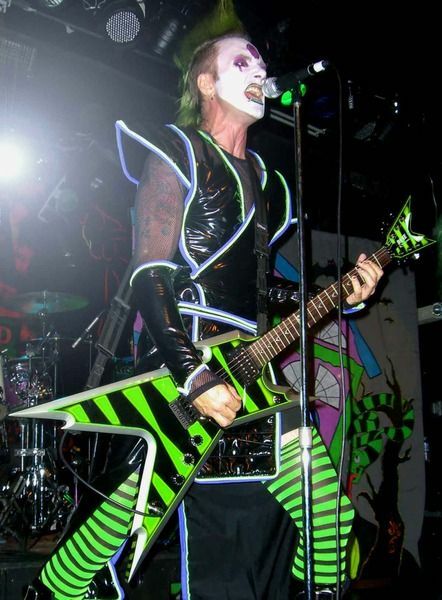 Stittch would not fill in for the band for long, leaving shortly after the group played a show in Hollywood with fellow glam metal band, the Murderdolls.The Creeps recruited guitarist Robbie Stylez from local Hollywood band "BlaQ! ", and Eddie switched to bass. The band gained further attention due to their MySpace profile, becoming the website's No. 1 Glam band. In 2005, they released their second album, "We Are the Weirdos" (the title is a quote from Fairuza Balk's character Nancy in the movie "The Craft"). They also filmed videos for "Stupid", "Pop Culture" and "Life". Shortly after, Robbie left the band.On September 15, 2006, the band unveiled the new line-up which returned the band to a four piece. Robbie Stylez returned to the band on guitar, and a new member Billy Blade was brought in on bass. 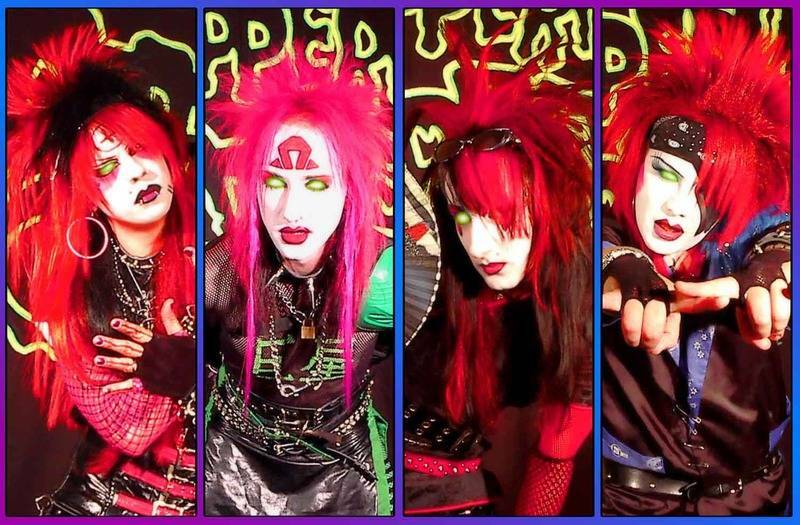 Opportunities and endorsements started coming in at this time such as Cleopatra's record deal and Dean Guitars endorsement.Along with a new website, the Peppermint Creeps revealed that they would be opening a new fan club in 2007 called "The Creepy Club". They also put out a preview for the 2009 album, in the form of a free download of a song called "Just Another Day". They filmed videos for "Just Another Day", "Let Your Voice Be Heard", "Broken Dollz", "Heartbleed" and The Vapors cover "Turning Japanese". The band went on to record a cover cd called "Cover Up" and was released on Cleopatra Records. Soon after,guitarist Robbie once again left the band.Traci Michaelz died in the early morning hours of Friday, June 13, 2008 after performing in Fort Worth Texas at the Rockstar Sports Bar the previous night.The band released the new album In Hell with Traci Michaelz's last drum tracks on May 30, 2009. Animatron X is the debut full length album from glam band Peppermint Creeps. 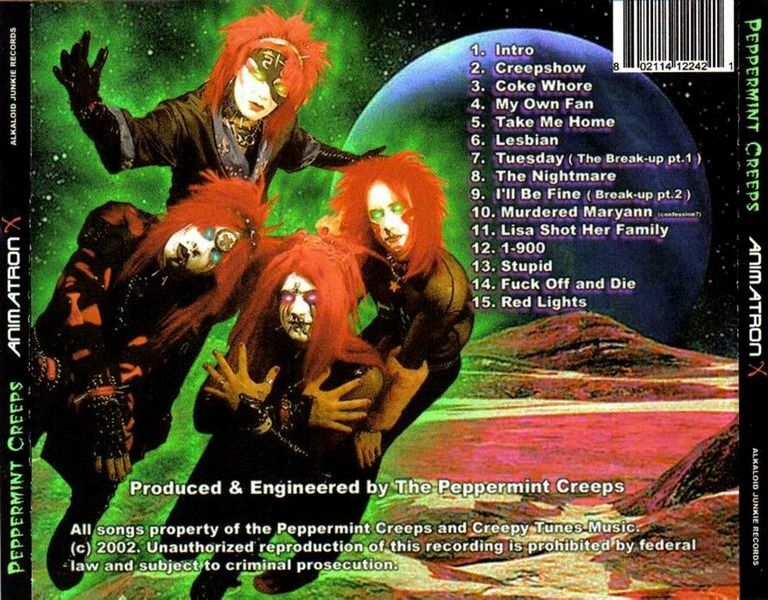 The album was released in 2002 and features many of the band's trademark songs.The intro track on the album is somewhat similar to the one used by Mötley Crüe, at the start of the Shout at the Devil album.Videos released from this album would follow in the form of "Lesbian" and then "Stupid". + 3 Official Videos !!! + 2 Official Videos !! !